The weather this year in Vermont and here at Stratton has certainly been nutty! After a great Christmas and feet of snow, we had rain and then more snow but the snow was coupled with Arctic temperatures. If you were brave enough to ski, the snow was great. And then we had the Vermont January Thaw -- 4 days of warm temperatures and heavy rain. Monday last week (prior to MLK) Stratton Mountain was treacherous with lots of glare ice. Then Stratton's great snow makers and groomers did their magic. I skied on Friday and was actually able to ski the bumps on Upper Standard and cruise down Freefall. Everyone who was here for Martin Luther King weekend had a great time! A number of our renters are renting again at Stratton. 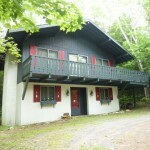 We are showing lots of Stratton Properties for Sale as many people recognize the value of owning their own ski home. Rates are good and mortgage interest is still deductible. 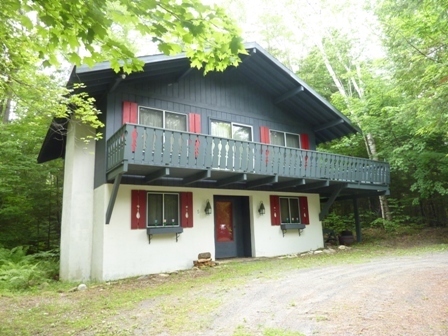 A best buy listing is this cute Strattonwald Chalet. It is $214,900 and has three bedrooms and 2 baths. The upper level is an Open Living/dining kitchen area with wood burning fireplace. The home has membership in the Strattonwald Community Association which provides a winter Ski shuttle and summer tennis and a pretty swim pond with sandy beach. Now is a great time to look for your own second home at Stratton!